Storyland - Jackson NH and Mt. Washington Valley Area Information. Pumpkin People, Tradionally Yours Events, Lodging specials, Dining and Ski Area Info. New Hampshire’s best amusement park for kids! 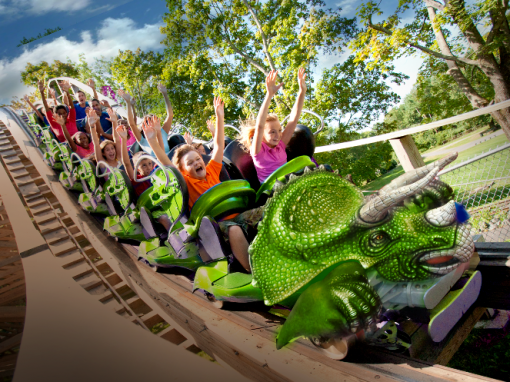 Story Land is the best children’s theme park in New Hampshire, offering rides and entertainment to thousands of families with young children for over 65 years. New generations of children, their parents, and grandparents visit year after year to share past memories and create new ones in the Land Where Fantasy Lives! This kid friendly amusement park features over 30 attractions perfect for making your little ones smile, as well as special events and family dining options including character dinners and tea time.